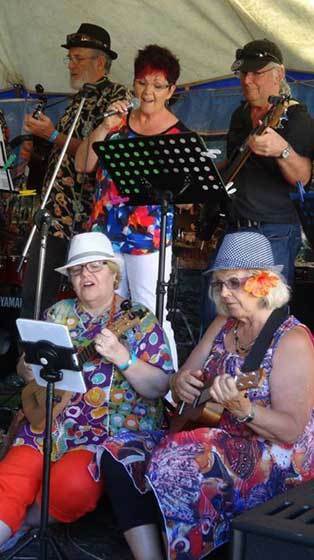 Had a great time at the Ukulele BBQ, Kuranda – many thanks to Bosko and Honey & friends for excellent entertainment, brilliant organising and delicious tucker. Happy Christmas from Tableland Ukulele Group! Email to request photo usage.